Today’s kitchen experiment post was prompted a recipe sent via email to me a couple of months ago. I made a point of filing the email to stay located in my Inbox so I would make a priority of working on it. Given that, it took like two months for something to come around and I got to making my first ever fruit leather. Now you might be thinking, ‘What the heck is fruit leather?’ Although then again, as I’ve discovered over the past two weeks, a fair amount of folks I know first hand ALREADY know what it is… go figure. 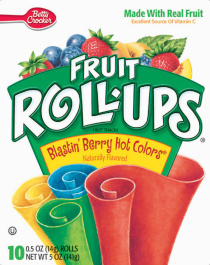 But for those of you unaware (and no need to be ashamed), quite simply, think of Fruit Roll-Ups put out in the Betty Crocker line of products made by General Mills. 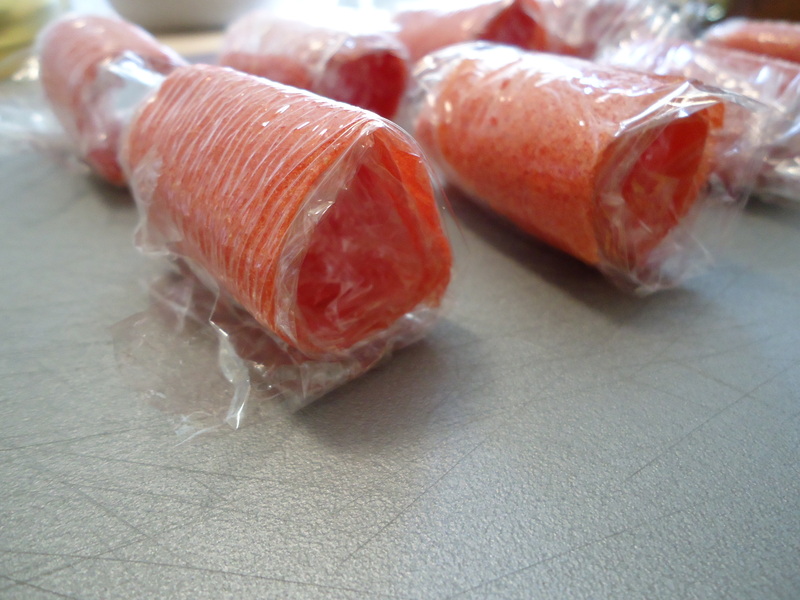 So here’s the thing about Fruit Roll-Ups. I never really got to enjoy them as a kid. This was in the 80s when my family couldn’t afford to purchase any darn thing that came out on the market. The US hadn’t turned into the disposable/replaceable marketplace of today. (getting off my soapbox) So this is one of the foods as a child/teen I was a little jealous of since I wasn’t able to enjoy some myself. Flash forward 20+ years later and when I came across the recipe to make my own WITHOUT the extra additives, sweeteners, preservatives etc. – I was bound to make some of my own. 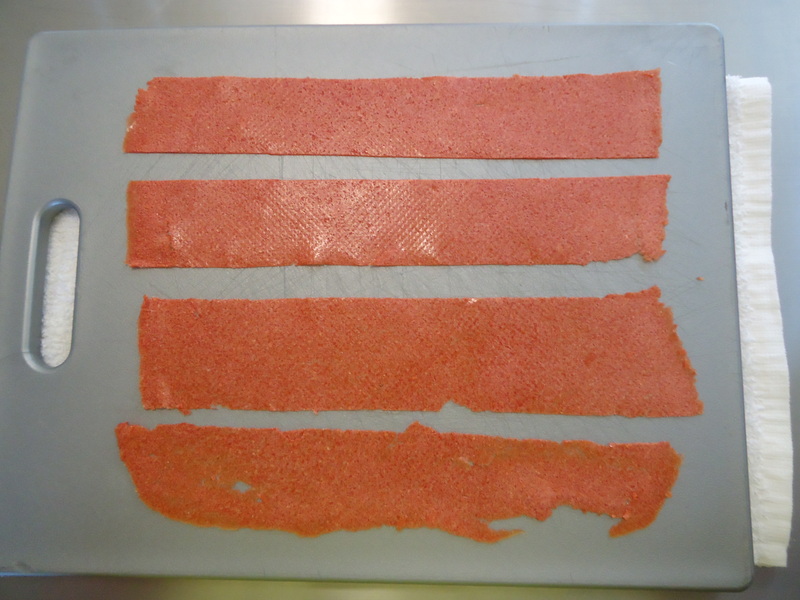 Here we go… Watermelon Fruit Leather – the challenge here is that my email recipe is for Strawberry, not Watermelon. 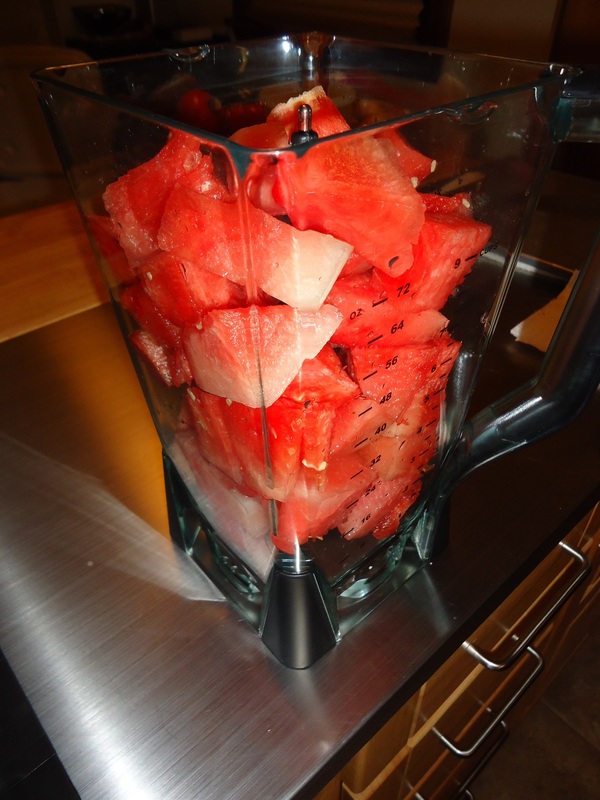 I went into this knowing that I was going to have a battle on hand because watermelon is full of …. you know, WATER. So is order to create this I was going to need to determine how to remove the extra water or probably face failure. To the internets I went… Google of course. I found a couple of website posts and one blog entry in particular was exactly what I needed. Here it explained about how to remove the extra water and save that for turning into another food product. SWEET! Cut up fruit, remove the rind – or as I did, pickle it! I had gone to a potluck pool party where there was TONS of food and so much left over. Needless to say, my seedless watermelon was minimally touched (two others brought watermelon as well). So I, as a decent guest, took mine back home with me. However after two more days of eating water melon, I knew I was going to have to do something with the rest. Making another granita batch was not really exciting me. And that’s when it hit me. 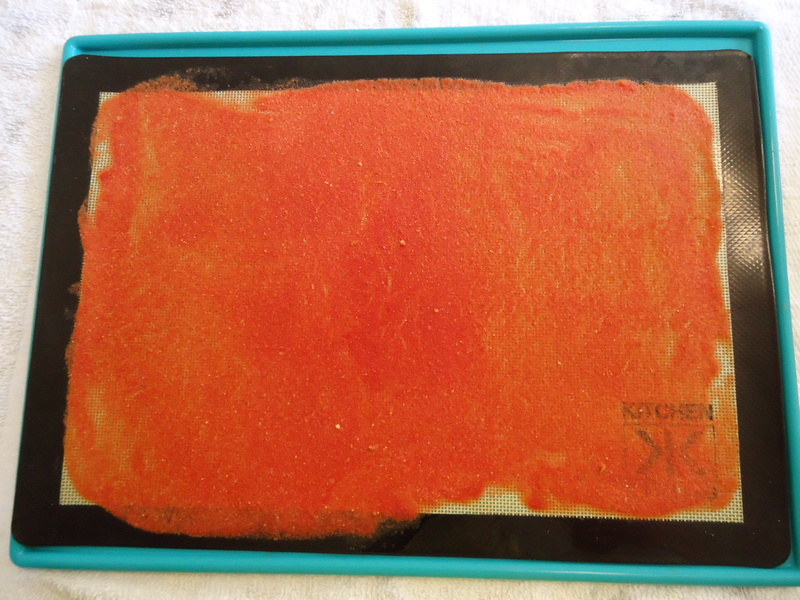 Make fruit leather! So I got to looking up recipes and after finding the one linked above, I cut up the remaining half of the watermelon into chunks, without the rind. These were puree’d into straight out liquid watermelon juice with pulp. Notably the amount of volume drops dramatically after the fiber structure of the pulp is broken down. 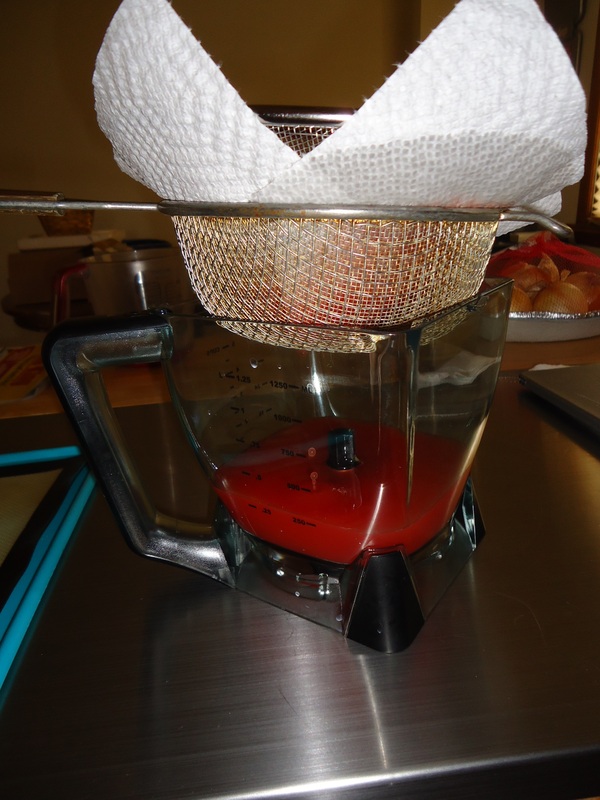 Then I lined a strainer with two paper towels to separate the watermelon water/juice from the solids. I choose not to add any sweeteners lemon juice and go with a more pure taste. I set the watermelon juice off to the side and spread the watermelon puree out on a silicon baking sheet (which is a near must have for any kitchen). Spreading was a bit of challenge because I realized I don’t have an offset spatula for things like frosting cakes. So I used a butter knife to the do the best I could. It was recommended to leave a one inch space around the outside of the puree spread which I think makes it easier for peeling later after dehydration. 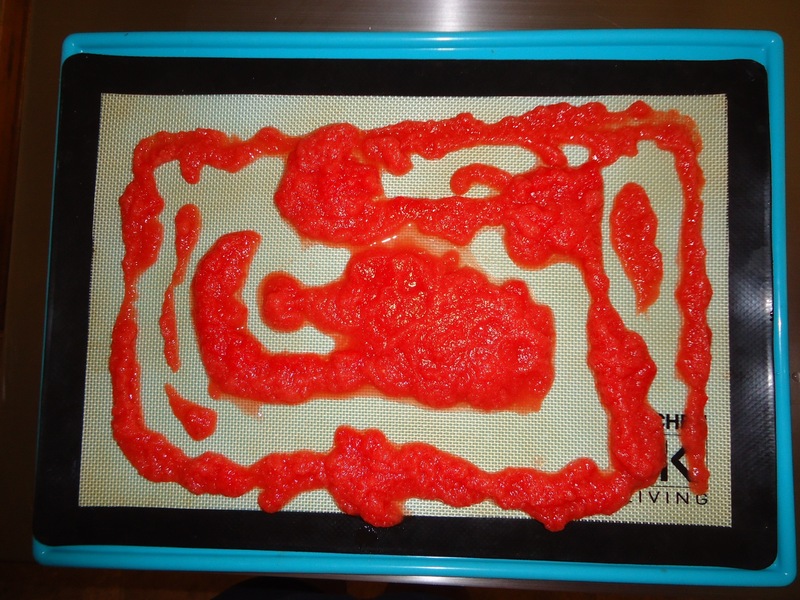 So after spreading out the puree solids, it was into the oven that I had pre-heating at roughly 170 degrees. Now the email and recipes I saw all said probably 6 hours for dehydrating. However for me it only took about 4 hours. I checked on it about every 90 minutes just to make sure things were going alright being that this was my first time. So after drying, it looked like this. The nice glossy sheen was gone and turned into a matte surface. The fruit puree was sticky to the touch but was able to keep a fingerprint impression when pressed. Not that I wanted this to be something used in a CSI episode or anything…lol. This ended up taking a little finess to get off the silicon mat and onto the cutting board. But once there, cutting was a cinch. Now I would recommend using a pizza wheel blade if you have one. A regular knife will do just fine, you have to watch for tearing if the blade isn’t sharp. Also, I cut on the dull flat side (bottom while dehydrating) since it seemed less sticky. Now wrapping in the plastic film was a little tricky since my version pretty much damn near wants to adhere to everything when you’re cutting it from the box. 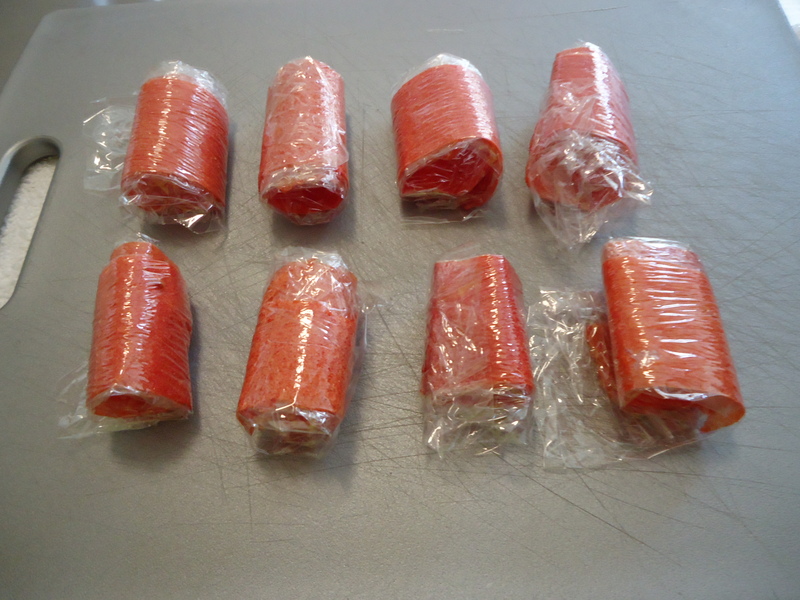 I decided to wrap the strips of fruit leather on all sides thinking it would make it easier to unwrap later and avoid early spoilage. I’m not so sure about that given how my step-mother struggled by my niece took her time to tediously open it. I decided to wrap and roll them so they kind of resembled the other product. Then I placed them in an air tight storage bin. I took some to give to the kids at my nephew’s 4th birthday party. Surprisingly my nephew wanted nothing to do with them. His older sister however did take a piece and ate the whole thing. She didn’t make too much of a face so I think they were ‘okay’ in her opinion. I decided to not press her with questions given that she obliged to eat one to begin with…lol. I used the leftover watermelon juice/water to make into a syrup by boiling down in a pot on the stove. It took about 15 to 2o minutes in all. So this recipe actually gave me two foodie items from one lone ingredient. WOOT! Cut up the watermelon and remove the rind. Rind can be used for pickling if you want. Feel free to search the webs for how to do this and have fun! If using watermelon with seeds, removing the seeds will most likely need to be done at some point. Hence, I skipped this entirely by using the seedless variety. 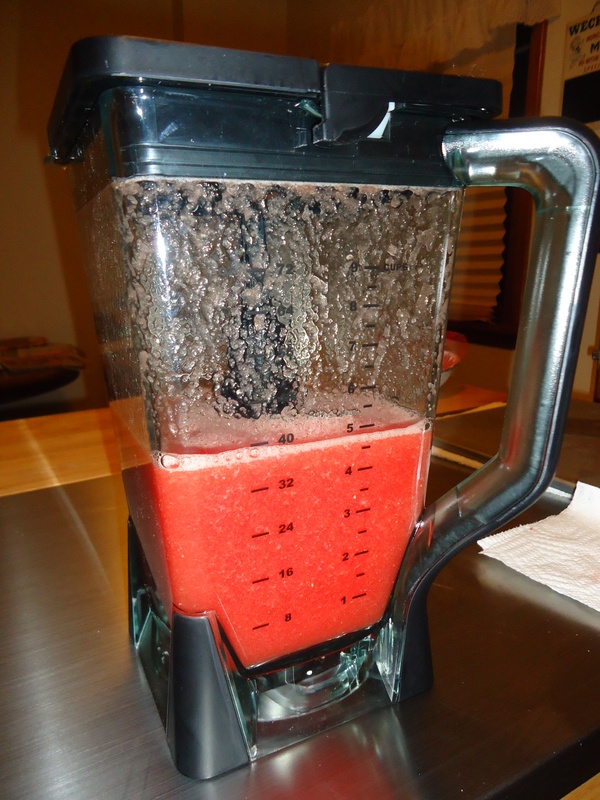 Place watermelon chunks in an upright blender and puree into a smooth liquid of watermelon juice. Some blenders may require this to be done in batches due to volume and number of times to blend and break down the pulp. Watermelon breaks down easy but dull blades can hinder the process. Strain the watermelon ‘juice’ to separate the more solid portion from the ‘water’. Place a mid to fine mesh strainer over a bowl or container large enough to hold the water. Place one or two paper towels in the bottom of the strainer as a liner to ‘catch’ the solids. Reserve the watermelon water or dispose. I highly suggest you cook it down on the stove top to make Watermelon Syrup for other kitchen creations! If adding a sweetener or acid is needed/desired, now is the time to do so after the puree solids and juice are strained apart. Spread the watermelon solids (has a consistency of baby food) over a silicon mat placed on a baking sheet. An offset spatula is perfect for this however being that I don’t have one yet, I opted for the old-fashioned using a butter knife method. Spread the watermelon puree sauce as evenly as possible to avoid ‘thin’ and ‘thick’ spots. This spots can result in holes during the drying process. Thick spots can results in a longer dry time and possibly faster spoilage during storage if not fully dried out. The desired thickness is between 1/8 and 1/4 of an inch. 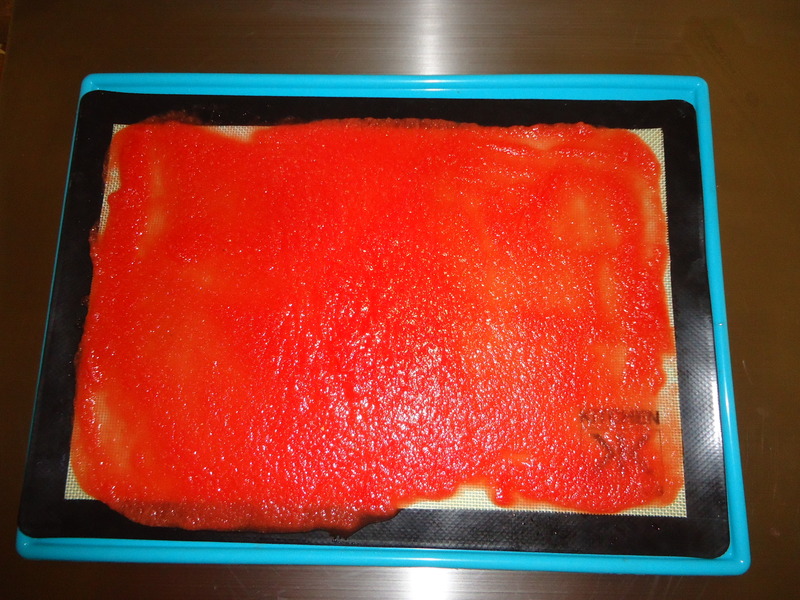 Place the silicon mat/baking sheet in the oven and leave for several hours. In my case, my fruit leather was ready in 4 hours at 170 degrees. My oven doesn’t really go down to 150 as the original email recipe listed. Check on the fruit leather as it drives, roughly once every hour or hour and half. Desired consistency is sticky like licorice candy (no wetness). Remove from the oven and let cool to room temperature to avoid tearing when packaging. Cut the large flat of fruit leather into strips or squares. I believe cookie cutters could be used to make shapes but then what to do with the leftover pieces? 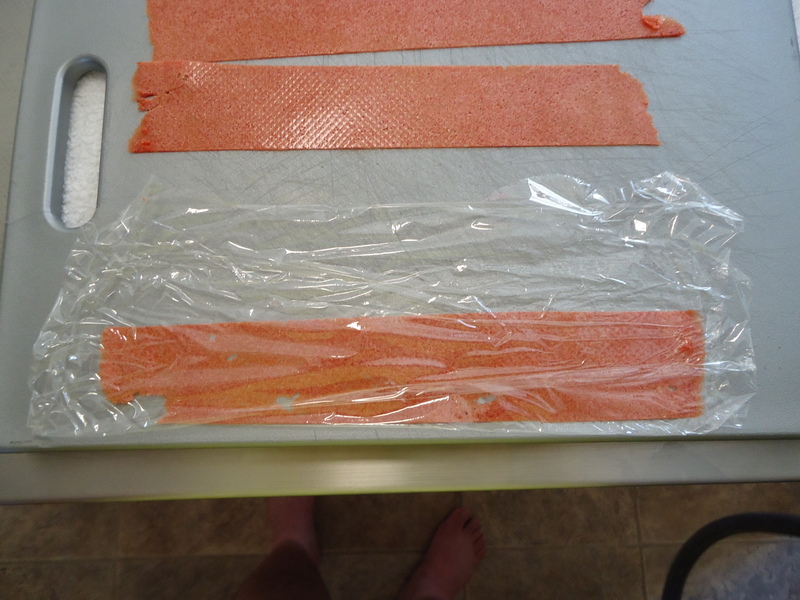 Cut up wax paper or plastic film to make strips or pieces larger than the now cut fruit leather. Personally I think wax paper will work best since it resists sticking more than plastic wrap. Store in an air tight container. 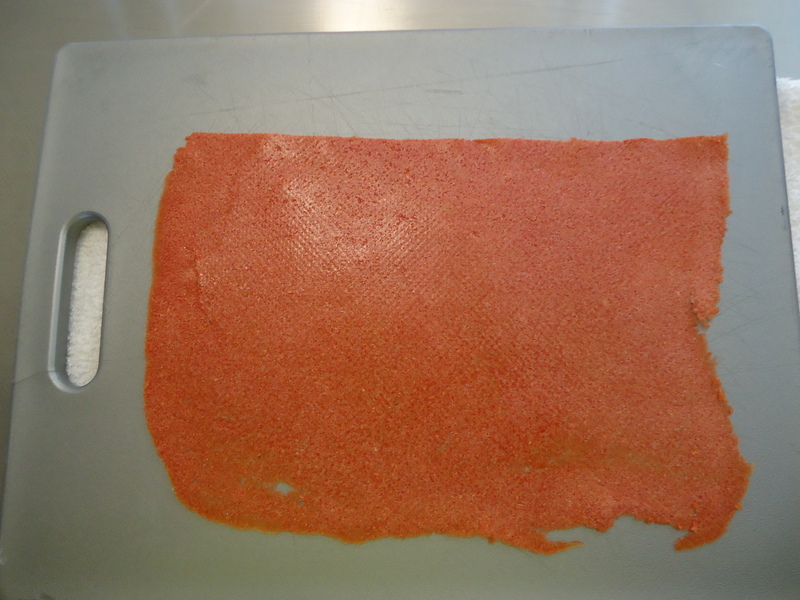 Fruit leather on average can last for a couple of weeks to one month. Some blogs state you can freeze and keep for months this way. This entry was posted in Gary's Stuff, Kitchen Experiment, Main and tagged Watermelon. Bookmark the permalink.